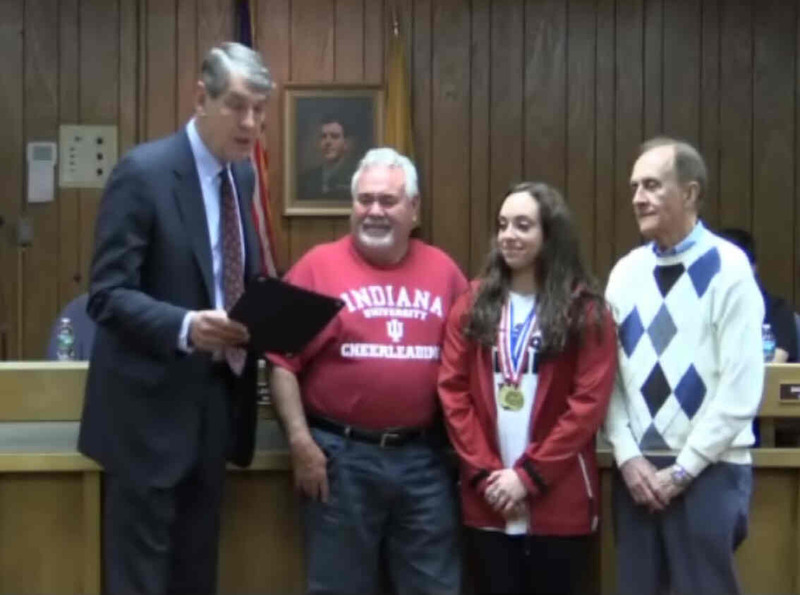 A Proclamation was read to recognize Raritan Resident Victoria Carra. won the College National Cheerleading Championship. ESPN Wide World of Sports Complex in Orlando, Florida. Town Councils need to discuss all kinds of topics. Trash was a topic at this meeting. standalone trash bags (not in a can) at curb side being in "regular" plastic trash bags. They feel they are too thin. They want trash to be in thick contractor bags. The kind found at Home Depot that cost around 50 cents each. this would be hard to enforce and most everyone would be in violation. No decision was made. The issue was tabled till the next meeting. Bids were received for the improvements to Bell & Sherman Avenue. The lowest bid of the five received was from "Top Line Construction" for $402,341. Engineer recommends that we award the contract to them. Bids were also received for the CBDG project. "National Watermain Cleaning" was the lowest bid at $43,850. Approval for the closing of Second Avenue for the annual St. Ann's Festival was granted. The Raritan Events Committee has a new FACEBOOK page. Search on "Raritan Borough Community Events" in FACEBOOK to find it. On Sunday, May 28th there will be a bike race in Raritan. A family fun ride will be held before the race. Forms to enter it can be found on the borough website. Eight Dogwood Trees will be planted in Canal Street Park.